The Reading Conference provides a critical opportunity for your Year 6 readers to demonstrate what they are doing as they engage with their personal book collection and for you to notice and respond with on-the-spot teaching, feedback and goal setting. 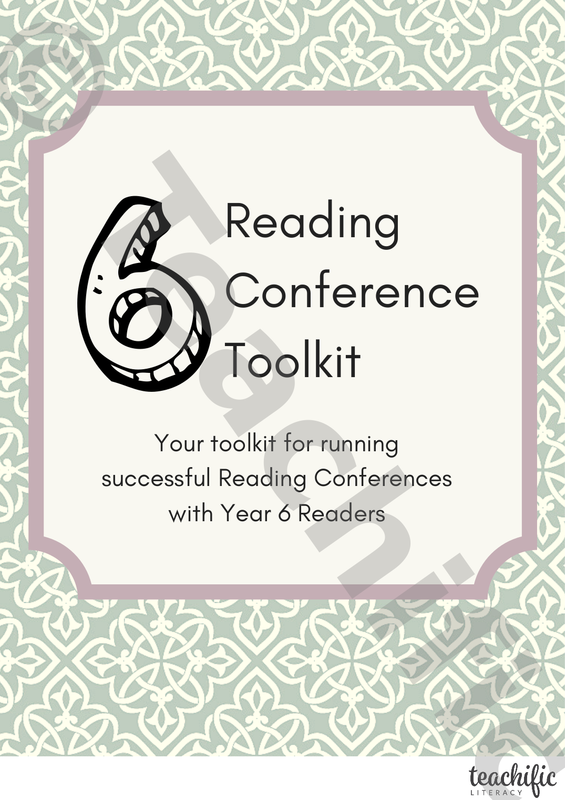 Reading Conference Toolkit - Year 6, contains all the tools you need to run successful Reading Conferences with your students. 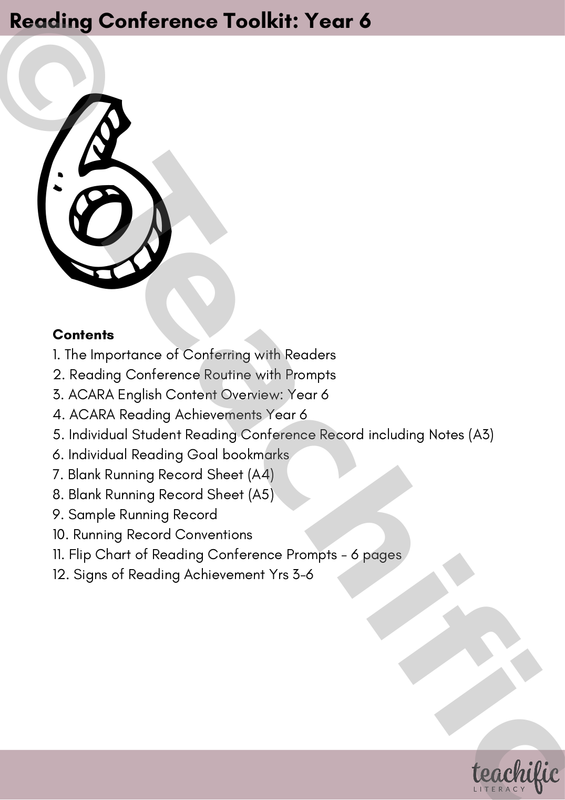 ACARA Year 6 Reading Achievements: A checklist to guide your observations and record keeping during the conference. This resource has been extremely useful and easy to use. Every time I have a reading conference with a child I use the toolkit because it is just so helpful. 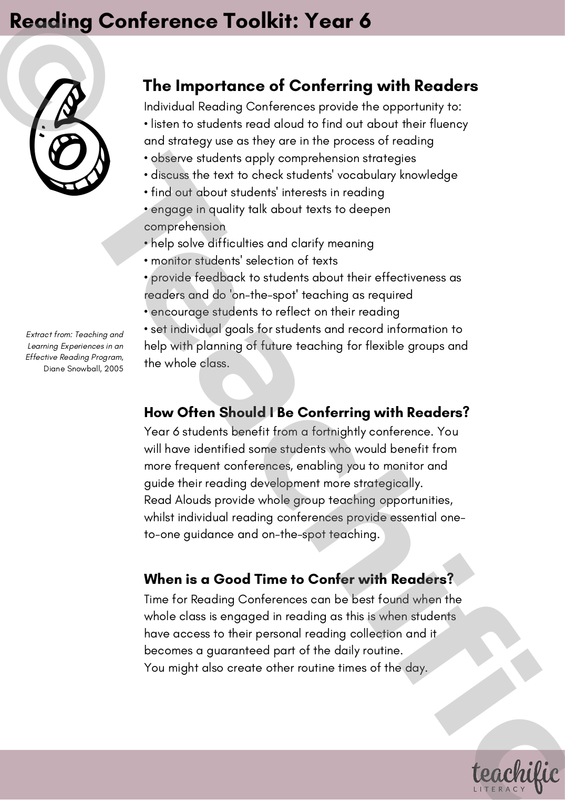 I specifically like the Flip Chart of Reading Conference Prompts. It gives me specific but varied questions to ask throughout every stage of the conference. This allows me to gain a great insight into the child’s thinking, understanding of the text and themselves as a reader and also their goals. It also means I can give really strong feedback making my reading conferences smooth and successful.